The Erg is a testbed for revolutionary energy conversion equipment created and only understood by it's pilot Dr. Jenna Burroughs. 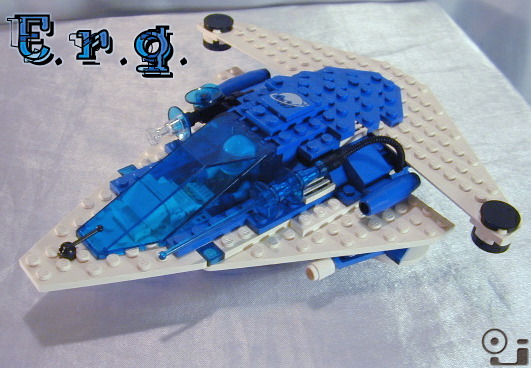 offensive weapons, an old style laser lance and a pair of outdated mass drivers, it is still a combat capable craft. is based around sensor packages necessitating vast raw computing power. Basically the Erg is a nerd you wouldn't want to get in a fight with. Dr. Burroughs hopes, after sufficient testing, to pass her energy conversion system onto OddJobbers and through them all known civilisation. In exchange for sales rights and commission, OddJobbers currently supports Dr. burroughs research and development. Brilliant scientific mind. Marine biologist. Not reccomended for negotiation or adjudication duties due to temper. "She is a genius and with my help iwll revolutionize all known space." "One of OddJobbers greatest long term investments..."
"She looks sweet, but don't cross her or she'll drain your ships power & pop it like a tin can!"